Experience the convenience of a call-in recorder system without the cost of a server! Now at a lower price for a limited time! 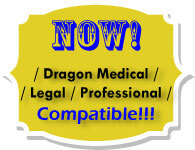 Optional mode allows creation of high-quality Dragon-compatible audio for automatic transcription with Dragon (Medical, Legal, Professional). The Start-Stop Call-In Recorder is a PC based call-in dictation system that combines the features of a traditional call-in dictation system with the versatility and ease of use of a PC. Dictate on the road, from across the office, or from home with your cell phone, land line, or VOIP line. 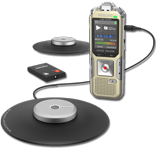 The Start-Stop Call-In Recorder is available in two and four-line universal transcription systems. Use our intuitive call-in software to easily create author IDs, manage files, and customize settings. 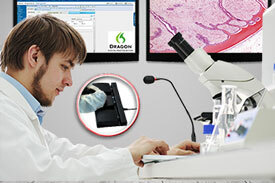 Dictation is stored on the PC, allowing virtually limitless storage capacity. The Start-Stop Call-In Recorder is perfect for legal and medical practices looking for a low-cost alternative to typical call-in recorder systems, or are looking to reduce the cost of providing handhelds while maintaining mobility. 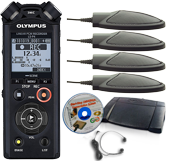 The Start-Stop Call-In Recorder is also an ideal replacement for aging Lanier or Dictaphone call-in systems. Call us at (866) 254-0714 and let our dictation and transcription specialists help you equip your office for mobile dictation. Bonus automatic FTP uploader/downloader included! 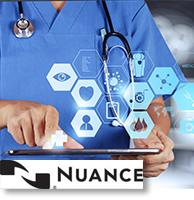 Automatically upload your call-in dictation to a remotely located transcriptionists (HIPAA encrypted or regular file format), or use free VPN (Virtual Private Network) utility. Transcriptionists using Start-Stop Call-In Transcriber can seamlessly and automatically download, transcribe, and upload completed documents! Compatible with Windows 10™, 8 & 8.1, & 7 (All Versions), Windows VISTA, XP, and 2000. 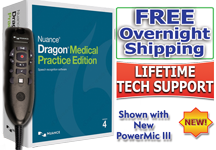 Save big on quantity and Start-Stop Call-In Recorder/Transcriber bundles! 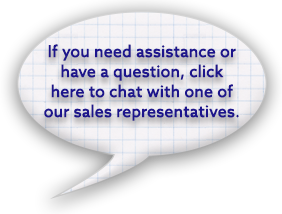 Call us at (866) 254-0714 for your custom quote! The telephony box plugs into your PC's USB port and connects with up to four telephone lines. Click for gallery of Images View available dictation with detailed demographic information and monitor usage. Easily create, modify, and delete user profiles. Empower the purchase of the Call-In Recorder with our Start-Stop Call-In Transcription System engineered specifically for it. Up to four lines run to an external telephony card. These can be telephone or DID lines, as well as direct-wired digital stations. 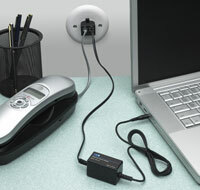 The telephony card connects via USB to the user's PC and, using the Start-Stop Call-In Recorder software interface, saves dictation to the hard drive. The dictation can then either remain on the local PC or be sent across the network for transcription. We include full technical support for setting up and configuring your new Start-Stop Call-In Recorder. 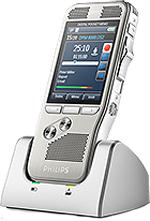 PC-based call-in dictation: Avoid the cost of expensive call-in systems while providing remote and mobile dictation. Integrates with your network: Share files over your network to increase the speed of transcription. 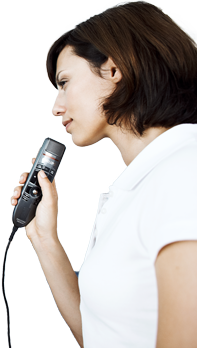 Effective replacement for handhelds: Outfitting a large office with handheld recorders can become costly. Simple Intuitive Interface: Get up and running within 30 minutes with our quick start guides and easy to use user interface. Start-Stop Call-In Transcription System: A special version of our Start-Stop UNIVERSAL Transcription System natively plays the .wav files created by the Start-Stop Call-In System with integrated demographic information. Demographic Information: Sort through demographic information easily to track author, date and time, work type, subject number, and department number. Custom Profiles: Custom profiles allow each user to specify the recording settings that best suit them. Even record custom greetings for dictation users. Hard drive storage: Dictation is stored to your hard drive, allowing virtually limitless capacity. Add anytime, now or later, additional 2 or 4 line Start Stop Call In Recorder units to your PC, to expand the total number of incoming dictation telephone lines available. Select from several pre-made keypad configurations, such as the Dictaphone and Lanier Emulation modes, or create your own, even ones unique to a single user. System includes a Specta PC Headset designed specifically for transcription: light-weight and can be worn up or down. 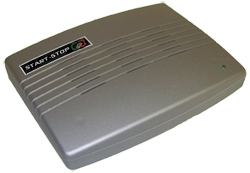 The Start-Stop UNIVERSAL Transcription System has been an industry leader in PC transcription since its original version over a decade ago. This special version of The Start-Stop UNIVERSAL transcriber works with the special files used with the Start-Stop Call-In Recorder, allowing fast network based transcription while tracking important demographic and file information. 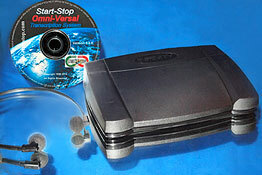 This program is based on our Start-Stop UNIVERSAL Transcription System with Network Pro with additional features uniquely suited for use with the Start-Stop Call-In Recorder. Combined, the Call-In Recorder and Start-Stop Transcriber make an ideal solution for small, medium, and large sized offices with up to 300 dictation authors and several full or part-time transcriptionists. See a Real-time View of Incoming Dictation from the Start-Stop Call-In Recorder! Three pedal USB Plug N' Play foot switch allows for simple, hands-free control so you never have to take your attention away from the job. The main interface screen shows realtime information about the current job file. Easily change the playback speed, set bookmarks, adjust volume, and customize your playback options. The Start-Stop UNIVERSAL Transcription System for Call-In Recorder is network enabled, allowing you to share, track, and archive jobs across the local network. This allows several transcriptionists to work on a pool of jobs without overlap. Automatic notification informs the transcriptionists that new dictation has been completed and is available for transcription. Automatic Notification: The program notifies transcriptionists of new and incoming work as it is being recorded by the Call-In Recorder. Work Pool Sharing: Several transcriptionists can share and track work without overlap, making this the perfection dictation/transcription system for small, medium or, large offices up to 300 authors. Job Manager: Automatically sort dictation by author, job type, time, length, or priority. Productivity Tracking: Automatically archive completed dictation while allowing a supervisor or transcriptionist the ability to track work accomplished and work remaining. Dynamically View and Manage Incoming Dictations with Real-Time Work Sharing and Comprehensive Author Date-Time Priority Included! The Start-Stop Call-In Recorder collects demographic data which is then displayed in the UNIVERSAL Transcription System for Call-In Recorder Job Manager. This allows transcriptionists or supervisors to set priority or distribute the workload across several transcriptionists. Click to enlarge image of Job Manager. The Job Manager with Demographic Support offers a complete picture of new, in-process, and completed jobs. Sort incoming dictation by author's name, department, priority, work type and time with a single mouse click! Set up to 16 bookmarks per dictation file. Ultra Job Manager: Track new and complete dictation, queue jobs for continuous transcription, and archive completed dictation. 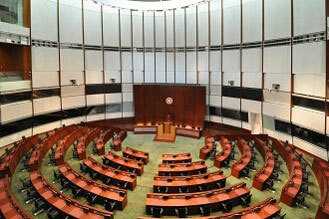 Variable Speed Control: Change the speed of dictation between half speed and three times speed with no distortion. Smart Line Counter: Accurately determine your line count for billing and productivity reporting. Intuitive Graphical Interface: Run the program in the background or as a taskbar where you can track information about the file in realtime. Complete Control: Run the Start-Stop Call-In Transcription System in the background while you control dictation with foot pedal control, mouse, or keyboard shortcuts. No Extra CODECs Required: Transcribe dozens of digital formats without needing to download additional audio codecs. Built in FTP Client: Automatic FTP upload and download feature allows incoming called-in dictation to be automatically uploaded for sharing with off-site or remotely located transcriptionists. 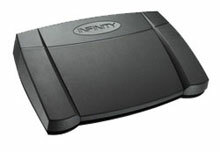 Plug N' Play Foot Pedal Control: The ergonomic USB 3-pedal foot control allows you to stop, play, step-back, rewind, and fast forward through dictation for complete control. Windows™ 10 Supported as well as Windows 8, 8.1, 7, Windows Vista, Windows XP, Windows 2000, and Windows 2003/2008 Server!